When I saw fellow food blogger Alice Currah’s blog post last year announcing that she was writing a cookbook, I couldn’t have been more thrilled! I have read Alice’s blog for years and just love her mouth-watering photos and delicious recipes. On top of all that, she’s an amazing writer! Although we’ve never actually met in person, I feel like we’re friends in real life. Well, the long-awaited day finally came and I am holding in my hands a copy of Savory Sweet Life, Alice’s cookbook—hot off the press! Let’s just say that I am fighting back the urge to make every recipe at once. So many goodies! 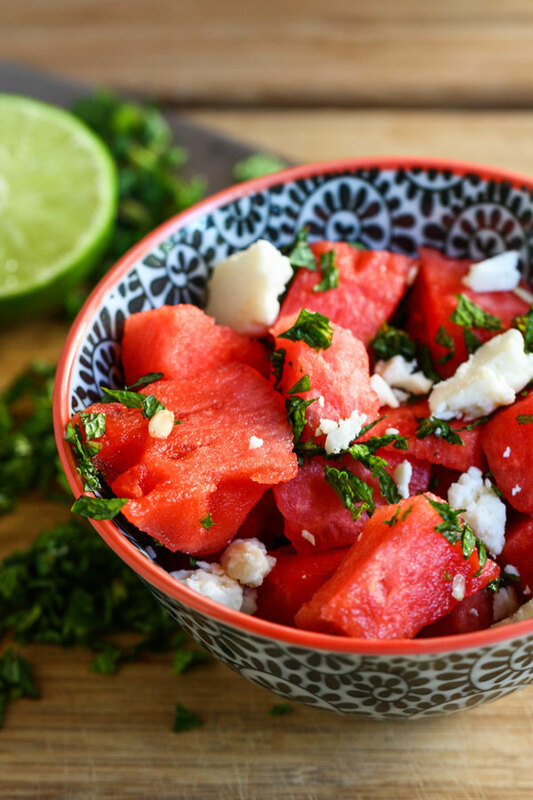 I couldn’t think of a better recipe to start off with than Alice’s Watermelon Feta Salad. I’ll admit that I was a little skeptical at first, only because I never thought feta cheese and watermelon would go together. I love watermelon though so I decided to give it a go! After one bite I knew— I knew what Alice said was true when she said you could find yourself going back for seconds and thirds. Amen to that. This salad is incredibly addicting and refreshing to say the least. Go ahead and try this for lunch today….I bet you won’t be able to stop eating it either. Thanks, Alice! 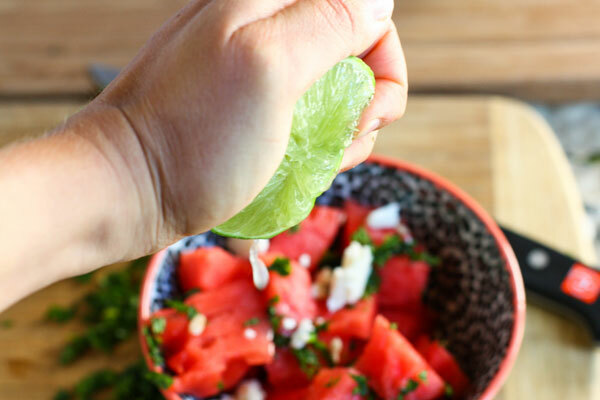 This combination of juicy watermelon and fragrant cheese is both flavorful and colorful for a cookout or side dish. Jenna Weber explains why this recipe works so well in a full post on the Fresh Tastes blog. This recipe is reprinted with permission of the author. 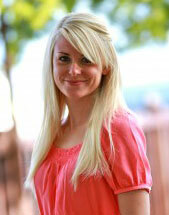 Alice Currah is also a food blogger for PBS Parents’ own food blog, Kitchen Explorers. 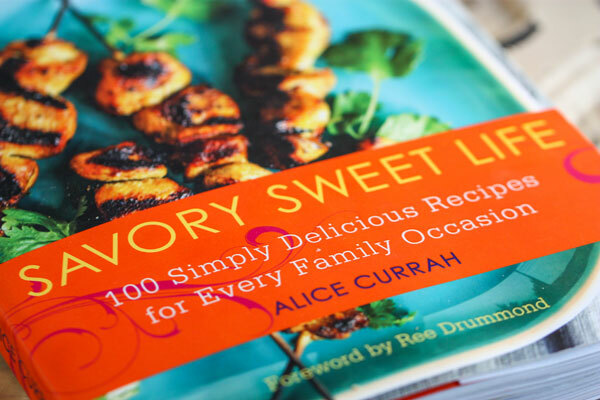 You can get Alice’s cookbook while supporting PBS by purchasing the book through ShopPBS.